This book teaches marketers how to engage and listen to buyers, and how to use what they learn to improve their offerings in today's Internet- and social media-driven marketing environment. It brings traditional marketing coverage up-to-date with a thorough, incisive look at e-marketing planning and marketing mix tactics from a strategic and tactical perspective. The focus is on the Internet and other technologies that have had a profound effect on how marketing is approached today. Included is coverage of marketing planning; legal and global environments; e-marketing strategy; and marketing mix and customer relationship management strategy and implementation issues. A major revision, this seventh edition reflects the disruption to the marketing field brought about by social media. As such it covers many new topics that represent the changes in e-marketing practice in the past two years. Because of the ever-changing landscape of the Internet, the authors suggest reading this book, studying the material, and then going online to learn more about topics of interest. Better understanding of new concepts in today's electronic marketplace is accomplished as the book puts that new terminology into traditional marketing frameworks. Readers are encouraged to exercise critical thinking and attention to their own online behavior in order to better understanding the e-marketer's perspective, strategies, and tactics-to think like a marketer. Although the focus is on e-marketing in the United States, readers also see a global perspective in the coverage of market developments in both emerging and developed nations. An entire chapter devoted to law and ethics, and contributed by a practicing attorney, updates readers on the latest changes in this critical area. -Marketing concept grounding helps readers make the connection between tradition and today. Material in each chapter is structured around a principle of marketing framework, followed by a look at how the internet has changed the structure or practice, providing an ideal bridge from previously learned material. -Learning objectives set the pace and the goals for the material in each chapter. -Best practices from real companies tell success stories, including new examples of firms doing it right. -Graphical frameworks serve as unique e-marketing visual models illustrating how each chapter fits among others. -Chapter summaries help readers review and refresh the material covered. -Key terms are identified in bold text within the chapter to alert readers to their importance. -Review and discussion questions are another device to be used for refreshing readers' understanding of the material in the chapter. -Web activities at the end of each chapter help readers become further involved in the content. -This revision reflects the disruption to the marketing field based on social media. 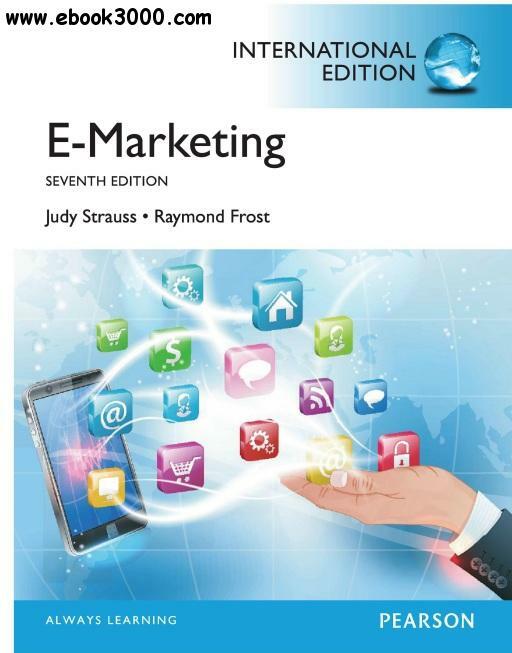 A major revision from the sixth edition, it includes many new topics, as dictated by changes in e-marketing practice in the past two years. -Three important Appendices include internet adoption statistics, a thorough glossary, and book references. Money in the Great Recession: Did a Crash in Money Growth Cause the Global Slump?